Black wrought iron frame measures approximately 10"x 10". 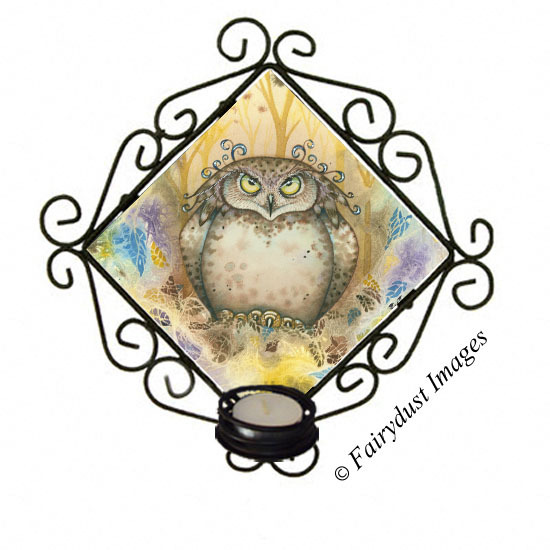 Glossy ceramic tile that features the fantasy artwork measures 6" x 6". The art is permanent and can be wash with soap and water using a soft cloth when ever needed.